September went by like a breeze and as usual I went on neglecting this blog for the past month. Well, I do know that sometime along the way, I mentioned that I will spend more time updating this blog, but with my recent commitments, it's just so tough. I often wonder how do all the beauty bloggers out there juggle between the blogging world as well as their own life. Anyway, back to what I am about to share today. Though I haven't been too adventurous with exploring new beauty products lately, I've definitely added a few new things into my daily makeup and skincare routine. 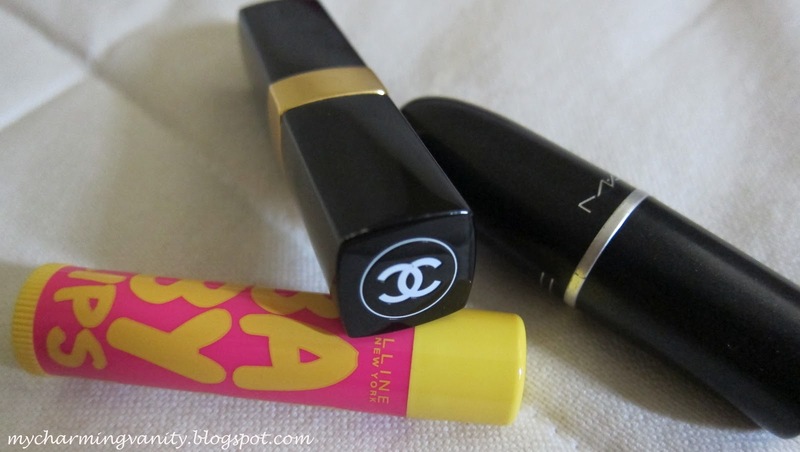 My current go-to lip combo is the combination of Maybelline Baby Lips, MAC's Modesty and Chanel's Boy. 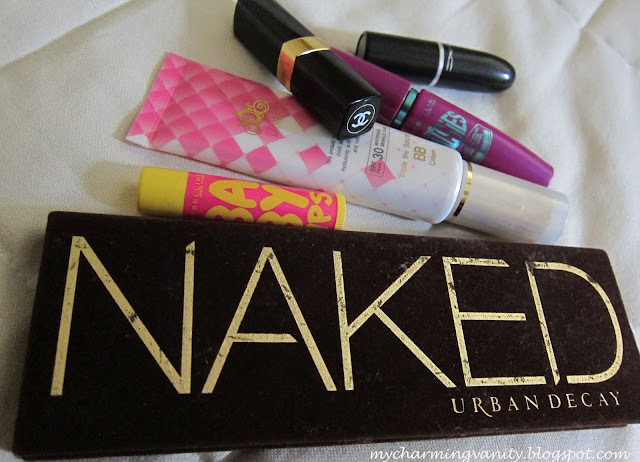 The latter two are no stranger on this blog, however, Maybelline's Baby Lips is definitely my new found love. I heard many raves of this lip balm on Youtube before actually jumping on the bandwagon. But, boy am I glad that I decided to give this a go. This lip balm gives the moisture and glossy finish that I needed daily for my rather chapped/dry lips and it's also really affordable. Being in a professional working environment, MAC Modesty and Chanel Boy are the perfect lip colors as they give the 'my lips, but way better' type of look to my often pale lips and skin, adding a pop of color that I need. If you are searching for something suitable for work, this two lipsticks are definitely ones that you can look into. Something different that I've been doing lately is replacing my liquid foundation with BB cream instead. Main reason was that I figured since I will be working long hours daily, BB cream seems a better option for my skin. With prolong use of liquid foundation, I did notice that my skin looks more dull without makeup. I thought it might be due to it not able to breathe. Anyway since I finished my Dr. Jart BB cream, I decided to lookout for another brand to try. After doing some research, I decided to go for the Lioele Triple the Solution BB cream and I must say that this BB cream provides the coverage of a foundation, amazing! It claims to have whitening and wrinkle care benefits and after trying it for about a month or so, I think it really did help correct my skintone. 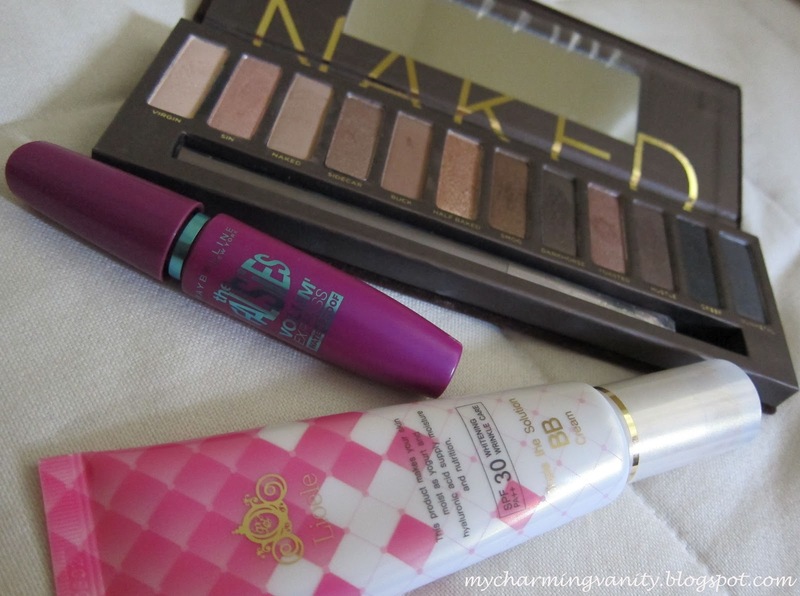 I have also been enjoying Maybelline The Falsies mascara and my Urban Decay Naked Palette lately. The mascara is great in providing curl and some length without adding clumps to my lashes. As for the Naked Palette, I have started the weird habit of using the shadows as my liner instead. I used to really love liquid eyelines by Japanese brands but I've come to the realization that liquid liners can be abit harsh for normal work day. Eyeshadow on the other hand, perks up the eyes and gives a softer appearance, which is yet another thing that I feel is perfect for corporate. That's pretty much all I've been loving lately. What are your recent favorites? Like you,I want to try the lip balm. I am fond of lip balms because I used to have chapping or cracking lips especially during cold weathers. i want to give this a try, why not! That Naked palette is just gorgeous. No wonder everyone's crazy about it. Please do not republish or redistribute any photos or contents of this blog without permission from the owner of this blog. For more information, kindly contact the blog owner. Vanity is an Addiction. Copyright © 2010 - 2017. Powered by Blogger.